High-ranking officials said on Tuesday that they did not feel qualified to speak on the growing mountain of warnings that detention could be permanently harming children. 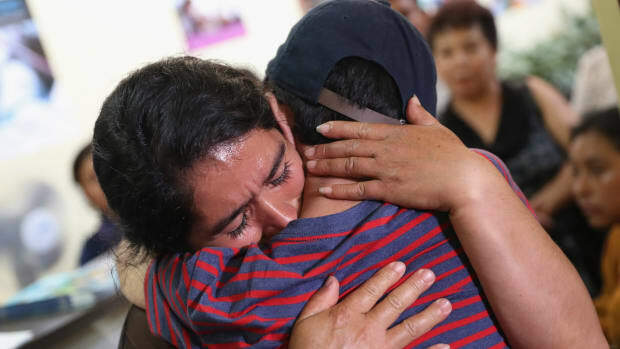 An emotional father embraces his son for the first time in months on August 7th, 2018, in Guatemala City, Guatemala. They had been separated as part of the Trump administration&apos;s "zero tolerance" policy at the border. In a tense hearing on Tuesday, members of the Senate questioned Department of Homeland Security officials about the detention of immigrant families. During the exchanges, the officials repeatedly asserted that they were unaware of any negative psychological effects detention could have on children. The pattern of the officials&apos; answers, first noted by ThinkProgress, stands in stark contrast to the mountain of recent warnings from experts and public-health officials about the dramatic short- and long-term psychological damage detention and family separation can have on children. According to ThinkProgress, two high-ranking Trump officials—Matthew Albence of Immigration and Customs Enforcement and Robert Perez of Customs and Border Protection—both stated that they had not seen statements released from experts in their own umbrella department, the DHS. As the New York Times reported in July, a letter from two expert physicians at the DHS disclosed that extensive investigations carried out under both the Obama and Trump administrations "frequently revealed serious compliance issues resulting in harm to children." When asked questions about the physicians&apos; letter, which warned that family detention "poses a high risk of harm to children and their families," both Albance and Perez admitted they had not read the missive. 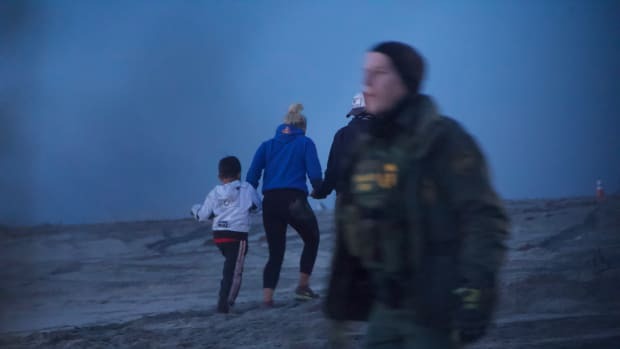 The psychological damage the United States&apos; immigration enforcement system can cause children became hyper-visible this year after multiple videos of immigrant children reuniting with their parents went viral. Children in the videos appear vacant, remote, and traumatized—in some instances, they seem unable to recognize their parents. "What happened to my son?" a mother asks, terrified, in one video, as her child crawls away from her. Johnson is concerned that children&apos;s stress responses are being turned on indefinitely in these scenarios, which directly affects the neural pathways in the brain and the immune system. "The release of stress hormones, such as cortisol, happens when a child experiences something that is terrifying to them or scary, and the way to buffer that or to help a child move through that or to biologically turn off that hormone is through a nurturing, caring relationship," Johnson says. But in cases where children have gone without interaction with their caregiver, the stress response in a child&apos;s system remains on for however long they&apos;ve been separated. When the stress response does not get shut off, the neurons in the brain change. And those changes can have consequences. 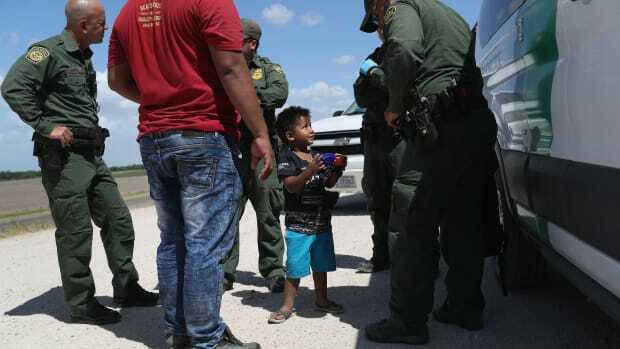 The American Academy of Pediatrics published a host of literature last year that warned that the detention of children, even for a short term, can cause similarly traumatizing amounts of stress. 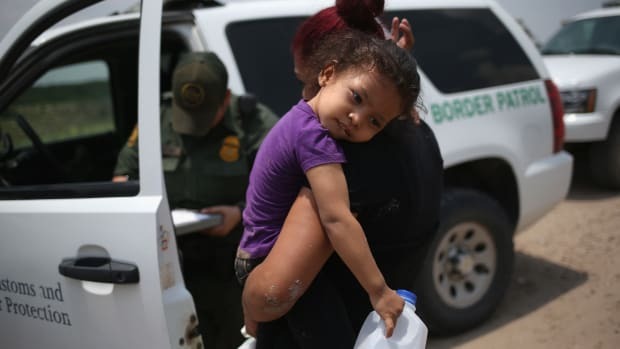 "Studies of detained immigrants have shown that children and parents may suffer negative physical and emotional symptoms from detention," the AAP said in a statement, noting that living in fear for long periods of time can lead to toxic stress, which harms brain development. When senators asked Perez if he was aware of any of the AAP&apos;s literature on the matter, he answered: "I am not, senator. Someone else in the agency may be, but I am not." Jack Herrera is an editorial fellow at Pacific Standard, covering immigration from a human rights perspective. His writing has appeared in USA TODAY, CityLab, and elsewhere. He's a graduate of Stanford University. Unprepared for the Trump administration's zero-tolerance policy, overwhelmed border officials illegally detained children in unfit facilities, among other failures. House Democrats Subpoenaed Trump Officials Over Family Separation. Here's What We Already Know. Internal government investigations have revealed that the government was seriously unprepared to implement Trump's zero-tolerance policy. A redacted memo released on Tuesday outlines the administration's "zero-tolerance" policy, which ensured that every adult apprehended crossing the border would be detained and prosecuted. The consequences of family separation will likely be lifelong. What we are seeing now is only the beginning. 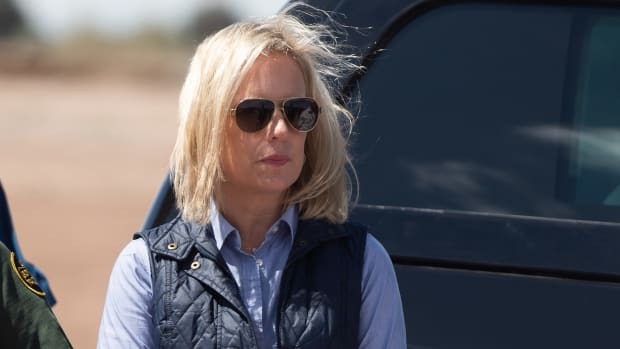 The secretary of Homeland Security, who resigned over the weekend, oversaw most of the Trump administration's family separation efforts. Colleen Kraft repeatedly warned the government that migrant children were in danger during her year as president of the American Academy of Pediatrics. Her worst fears were realized when two children died in government custody at the end of her term.